Born in depths of depression in 1892, the Collingwood Football Club garnered support like no other team before its time. Our humble, yet proud, beginnings fostered an unbreakable spirit within players, supporters and all connected to the club. In a time where the community needed to stand side by side, the Collingwood Football Club connected its people with a shared purpose and vision for the future. Today, the club encompasses more than football, yet the pillars that made us strong still remain. An inclusive and progressive club, and one not afraid to take risk. 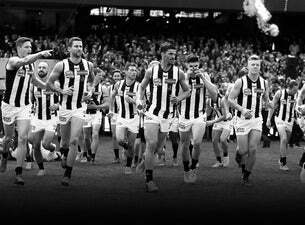 Yet Collingwood remains steadfast in maintaining integrity to the people connected with it, now and forever.